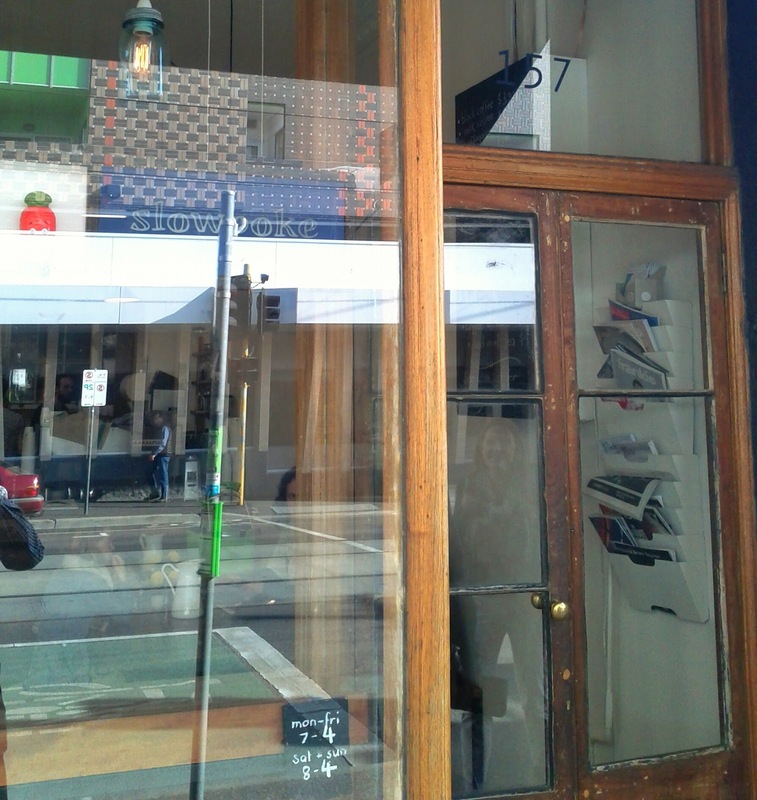 On a bright but chilly winter Friday, Brendan and I headed up to Fitzroy for lunch at the inconspicuous Slowpoke, which would have been easy to wander past on Brunswick street, if we hadn't been looking out for it. 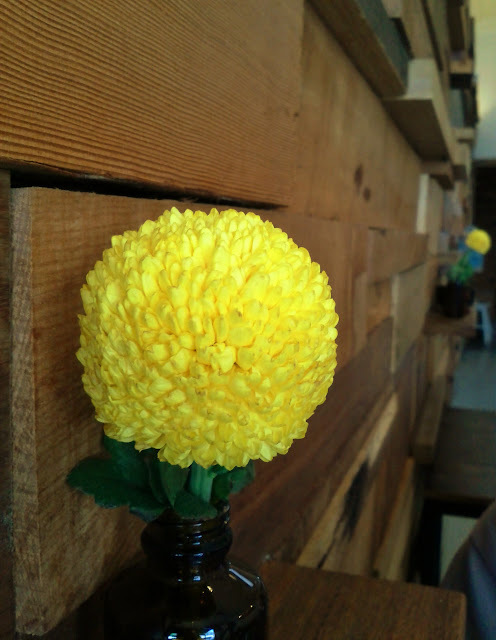 Inside the decor was simple and elegant, with mostly white walls and wooden tables and white chairs. 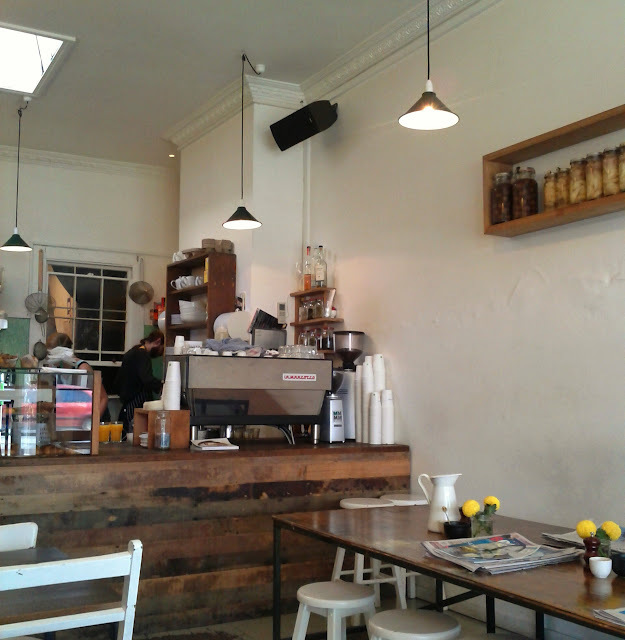 We got a table by the wood block feature wall, some the blocks were mini shelves and were home to medicine bottle vases. 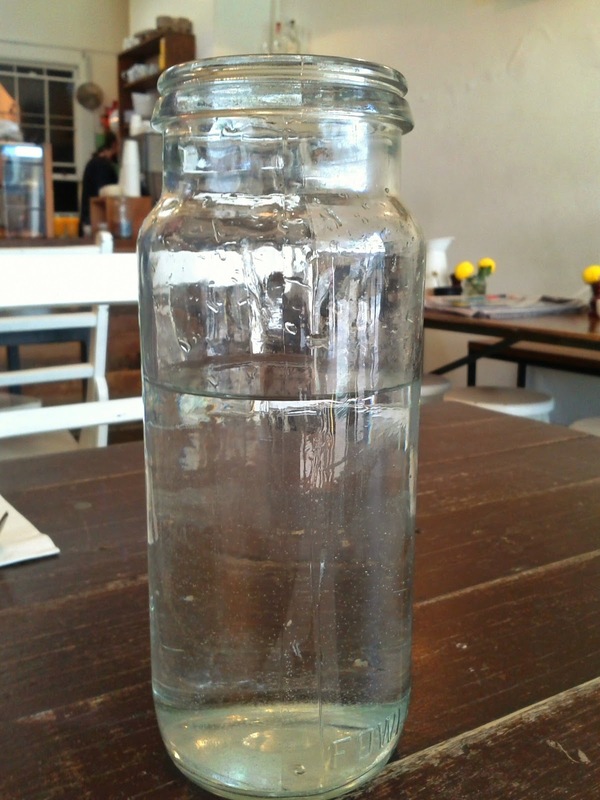 Our water was provided in a tall jar. I went for one of the several specials on offer, the heirloom carrot and lentil soup. 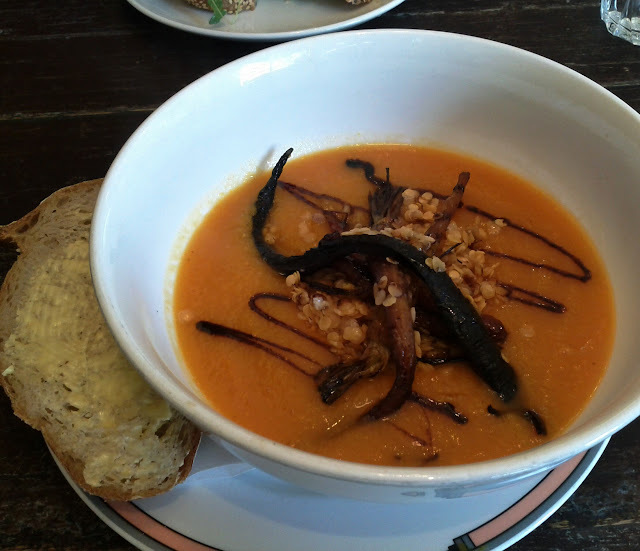 It was one of the most thoughtfully presented soups I've seen, with roasted carrot and lentils topping the thick soup. The flavours combined well and it was a satisfying lunch on a cooler day. 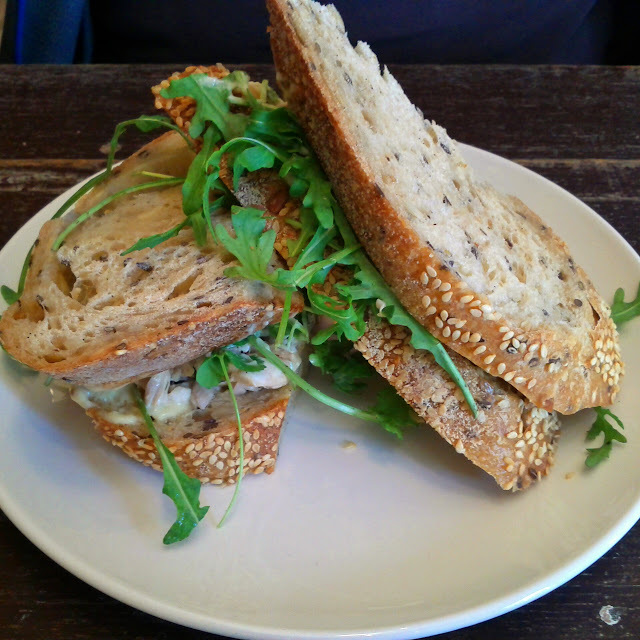 Brendan had the roast chicken sandwich, which was garnished with rocket. It wasn't that generously sized but I actually finished my soup first... Unfortunately one mouthful was spoiled by a bone in the meat! At around $12each the meals were just enough to satisfy us at lunchtime. The service was friendly and efficient and the laid back feel made it a good break from the office.